Negotiation is important with any job, including traveling therapy. Even though travelers make almost 2x more than the average therapist, there is still more money to be earned if you are smart and put in the effort. In this blog post, I will discuss the key phases in your traveling career that are important to negotiate raises or bonuses. I will also discuss tactics and provide the exact statements you should provide to your recruiter to argue for travel therapy raises or additional compensation. There are several key negotiation tactics to help ensure you get paid the most. These tactics apply to standard full time jobs and also to travelers. ONE: Always provide an open ended statement, not a “yes” “no” question when asking for raises. For example, if you were to ask “Can I have a raise” – the recruiter can easily say “No”. Instead, you should ask “What more can you do for me with this contract?”. Providing an open ended question forces a recruiter to provide you with more detail than just “Yes” or “No.”. TWO: Always ask. People will never give you free money. You must always be brave enough to ask. I always say to myself, “What’s the worst they can say?”. The answer is “No” but if I didn’t ask anyway, then whats the difference and at least my mind can be at peace that I tried. THREE: Be prepared if your recruiter says “No”. It is important to pre-plan your whole dialogue, so that you can have arguments ready for if they refuse your request for additional compensation. Be flexible with your negotiations as well. Perhaps your recruiter cant raise your pay rate, but maybe they could provide you with a bonus or with reimbursements for travel. Another great tip is try to restructure your pay! Your compensation is made up an hourly rate plus a housing and meal stipend. Perhaps your recruiter isn’t maximizing your allowed housing and meal stipends. By reducing your hourly pay rate but increasing your housing and meal stipend rate, you could actually make more money because less is getting taxed by the IRS. Be warned, that there are limits set by the government as to how much you can get via a food and lodging stipend. You should NOT go beyond that limit, otherwise you risk being audited. 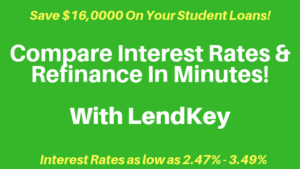 You can find these rates on www.gsa.com. FOUR: Make the travel companies fight for you. I suggest early on having several travel companies that you communicate with for open positions. When you start new contracts, compare the rates and make sure you pick the best company for you! Increased pay rate/salary: Your hourly rate can be negotiated higher. Did you know that just a raise of $1 per hour more for a full time worker is $2080 extra a year! Every little bit helps! House and meal stipends: You can ask for increased stipend for housing or meals. Unfortunately these rates are actually dictated by the IRS. 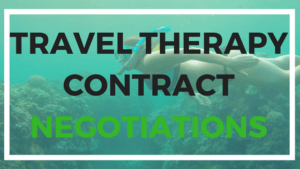 The IRS dictates the reasonable amount a business can provide to their employee but you can ask your recruiter to see if this is maxed out with your travel therapy contract. Travel sign on bonus, renewal and extension bonuses: At the start of a contract and at the end of a contract are great times to negotiate bonuses for working longer at a facility or for working in a new travel contract. Travel reimbursement: You can ask for reimbursement for your travel to new assignment locations. Be aware that this may come out of your pay rate, so insure with your recruiter that this will not affect your total take home pay. License reimbursement: You can ask for reimbursement for your respective therapy license. Beware that this may come out of your pay rate, so insure with your recruiter that this will not affect your total take home pay. Health Care: Some companies do not provide healthcare. If this is the case, you could ask for an increased pay rate or a monthly lump sum to help you afford healthcare on your own. 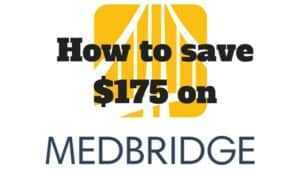 Many companies save a lot of money by not providing healthcare to their employees and you should try to get a piece of that savings! Once again, ensure that this does not affect your total pay package. Emphasize your experience and what you offer to the facility. Focus on the facility’s needs and how by hiring you, you would meet and surpass their expectations. Emphasize unique experiences or knowledge that you may be able to share with others. Have several offers. When you have several offers on the table, you can use tangible numbers to compare and to negotiate upwards. Just ask. It seems simple, but sometimes just asking your recruiter if there is anything more they could do, can help increase your pay. When negotiating, you want to come prepared with every argument and counter argument. You should know what you items during a negotiation are a must have and what items you can be flexible for during your negotiations. If you are fighting for more money, be able to get creative and understand what other items would benefit you instead of direct pay. Use these items as counter arguments during your negotiations. Argument strategy: Provide reasons why you should get a raise. When I signed on to another travel contract after my first assignment, I got a $1 raise. That may seem small, but that’s $2080 a year more!! If the company does not offer raises, then ask about sign on, re-sign, or completion bonuses or vacation time. Provide the same arguments above. Do not feel offended if your employer(s) cannot meet demands. The facility that has contracted with your travel company provides the compensation rate. Thus, the travel company has to divvy the compensation amongst the traveler, the recruiter and the travel company. So if a facility caps their commission rate, unfortunately, the only other option may be for the recruiter to take a lower salary. In that case, I recommend you weigh how much you want consistency versus an increase in pay potential at another location. 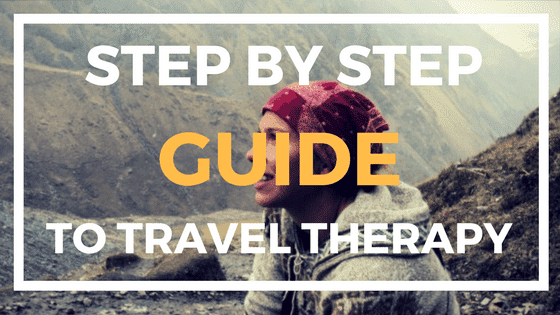 Check out my Travel Therapy 101 Facebook Group for lots of awesome videos and answers!